Have something that's been brewing in your mind that you need help creating? Want to make a unique gift for your clients or a friend? I'd love to work together and create something amazing for you. Below is some of the custom work I've done in the past. Reach out here and let's make something together! When you need an amazing gift, or if you want to have a keepsake of your current or previous home, custom house portraits are perfect! 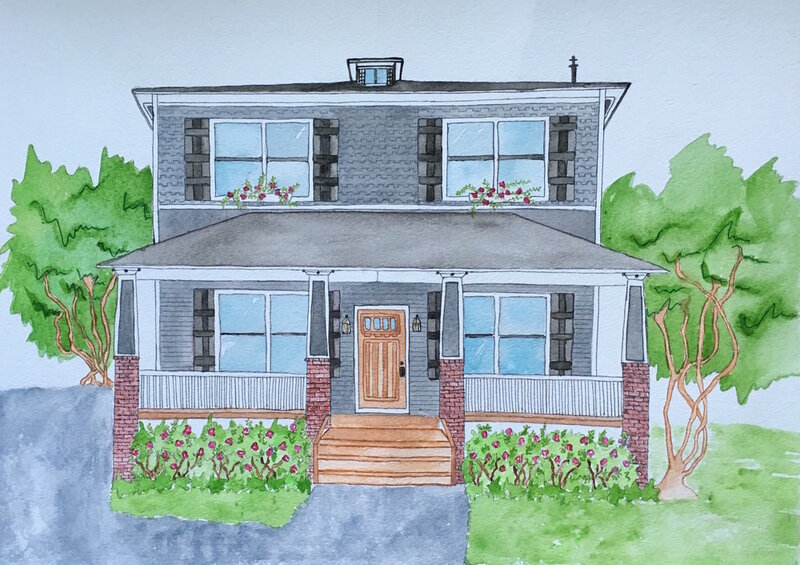 Each house portrait is hand drawn and painted with watercolor. Whether you're in need of artwork for yourself or want to give a special someone a unique gift, a hand painted piece of art is the best! I've painted these for everything from holiday to bridesmaid gifts and any special occasion in between. Tell me your idea and I'll make the magic happen!